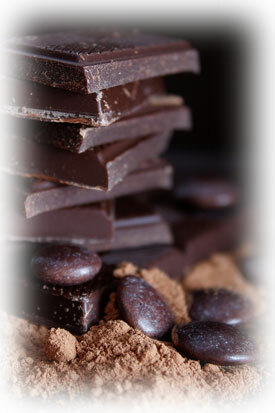 More than just a chocolate shop, Sweet Divas Chocolates features the finest Belgian Chocolate. Our Chocolatiers mix and match Dark, Milk, and White Chocolates with the latest equipment and techniques to produce the finest tasting Chocolate available. Our creativity with ganaches, as well as our moulding and dipping techniques, mean that your eyes and your taste buds are pleased by our fine chocolates. We offer a variety of sweets and tastes to fit every budget and lifestyle. Our Gourmet Cupcakes and Muffins will transport your tastebuds into galactic heaven. Choose from a variety of our delectables that we make fresh daily without any preservatives. If you visit us on Saturday or Sunday morning, you can try our M&Ms (not those M&Ms). Our Mimosa and muffin special, coupled with a beautiful view of Beach Drive and Tampa Bay, is a great start to the day. For an afternoon delight, try the ice cream that Downtown is raving about. The Divas have really done their homework with their homemade ice cream. The ice cream is featured in an interesting array of flavors to tempt everyone. You'll have a hard time deciding which flavor to pick, but don't worry, we offer plenty of free samples to find just the right one for you. The evening on Beach Drive is indescribable. After dinner, we welcome you to enjoy some of our custom Chocolates in our Bistro type seating taking in the stars, night air, and beautiful Florida weather. We offer a range of fine Wines and Champagnes to compliment your sweets and your evening. Jeanne wins St. Pete's Best Cupcake competition! Saturday August 18th 2012 was National Cupcake Day in the US. The Morean Arts Center celebrated the day by hosting a city-wide search for St. Petersburg's Best Cupcake. Cupcakes were judged on Icing/Frosting, Flavor/Texture, and Presentation/Creativity. We are proud to announce that Jeanne was the winner in the professional division for the Best Cupcake in St. Petersburg. Her Tortilla-Lime-Chipotle cupcake is now featured at Sweet Divas Chocolates.